Dr. Sadlon and his staff strive to improve the overall health of our patients by focusing on preventing, diagnosing and treating conditions associated with your teeth and gums. Please use our dental library to learn more about dental problems and treatments available. If you have questions or need to schedule an appointment, contact us. Please click the link on the home page to access Dr Sadlon's blog for the practice. Dr Sadlon will be discussing some of the most common questions he gets from his patients about their dental condition. 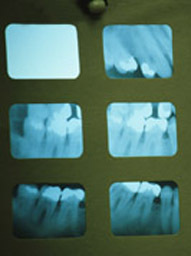 In addition, he will be picking timely issues in Dentistry to keep patients aware of the latest advances in the field. Any comments or questions are welcome! Enjoy!